Psoriasis Revolution Review (2019)- Treat It at Home? Psoriasis Revolution Review – Treat It at Home? If you suffer from psoriasis, you likely spend a lot of time in discomfort. Not only are the rashes uncomfortable, but they’re also unsightly. Making things worse is the fact that treatment options are somewhat limited, and there is as yet no “cure” for the disease. While it’s not a life-threatening malady, it is a disease that most everyone would like to find a way to manage. Click here to visit the Psoriasis Revolution Website. 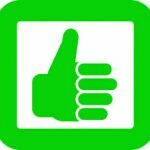 Read on for the full Psoriasis Revolution review. 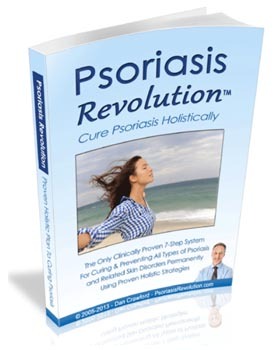 Psoriasis Revolution is sold as a downloadable ebook in PDF format, which allows you to download it at any time of day. You’ll also be able to read it on just about any device, which includes smartphones and tablets. When you purchase Psoriasis Revolution, you’ll also receive a half a dozen additional bonus books, including “The Healing Power of Water” and “A Complete Handbook of Nature Cures.” While these books may provide informative reading, they’re not really related to the main product, aside from being books in the health niche. The main Psoriasis Revolution book itself is rather substantial, and comes in at more than 250 pages. That’s a lot of reading, but don’t worry; the actual treatment portion of the book isn’t nearly that long. In order to understand Dan Crawford’s methods of treating psoriasis, you first have to understand more about the disease itself. That’s why the first section of the book covers the disease itself, the variations of it, and the tests and methods for diagnosing the disease. The first third of the book tells you about the history of the disease, it’s suspected causes and the common treatments for it. Some of the treatments commonly used for the disease come with problems of their own, and these are addressed in the book, too. I was rather surprised to see how much of the book was devoted to traditional psoriasis treatments, given that the book was created to provide a new one. On the other hand, not everything works for everybody, so the more information you have at hand, the greater the chance that you’ll find something that works for you. As you probably known, psoriasis is an autoimmune disease, or one that is symptomatic of the human body attacking itself. No one really knows the cause, though there are some suggestions that genetics, environment, stress and diet can all have an influence, with genetics being the most likely culprit. Treatment for the disease consists of a number of topical creams and ointments, along with various steroids and related chemical compounds. Subjecting patients to certain frequencies of light has also shown promise in tests. As of now, however, there is no cure for psoriasis; you simply have to find the treatments that allow you to best learn to live with the symptoms. In Psoriasis Revolution, Dan Crawford offers solutions for the problems that can be directly addressed: diet, exercise, sleep, and stress. Dan stresses that certain foods are more likely than others to cause flareups, while other foods can actually help minimize your outbreaks. Therefore, he offers a suggested diet that will help you minimize your discomfort. This diet will also help boost your immune system, says the author. The book includes a sample meal plan, complete with recipes, to make it easier to adapt to a new diet. The recipes are simple to prepare, don’t use any unusual ingredients and look to be quite tasty. In addition to diet, a number of nutritional supplements are recommended in Psoriasis Revolution, as these will help your body learn to fight off outbreaks of the disease more easily. As preparation for this, Psoriasis Revolution recommends a detox cleanse to help your body heal prior to changing your diet. The recommended program for this is a 3 day juice detox cleanse, and the recipes for the recommended juices are provided in the book, along with a schedule. After the cleanse, you’ll also need to boost the amount of “good” bacteria in your digestive system and methods for doing this are provided. As stress relief is an important component of fighting psoriasis, Psoriasis Revolution offers several suggestions for minimizing stress and for ensuring that you get enough sleep and exercise on a regular basis. All in all, Psoriasis Revolution is a solid, well-written book that provides a good background on the disease of psoriasis. If you know little about the disease, you’ll know a lot more after you read Psoriasis Revolution. You’ll also likely be healthier after you read it, as the diet and exercise guidelines provided are suitable for everyone. Is Psoriasis Revolution a scam? No, it’s a well-written book that provides a good overview of the disease as well as good, common sense suggestions for a healthier lifestyle that may help keep outbreaks to a minimum. Be sure to discuss your specific case with a doctor before trying the methods outlined in the book. While the book has your best interests in mind, everyone is different and you’re better off talking to your doctor first, just to be safe. That said, Psoriasis Revolution is a solid book that offers a ton of information about a disease that most people don’t know much about. If you follow the diet and exercise plan, you’ll likely be healthier for it.